I'm still in shock over how fast 2013 came and flew by. Now, we are at the beginning of 2014 and there is already so much that is happening with my family and I. These last couple of months I have been pretty sick. From what I thought was the on again off again flu ended up being a new addition coming to my family. That's right, the hubby and I are expecting our third child come this Summer. We're super excited and nervous all at the same time. We haven't had a baby in the house in 6 years! So this year we will definitely be experiencing new beginnings and a new chapter for our family. I have a few goals I'd like to accomplish this year and with everything changing for the arrival of our third child, I'm hoping I can stick with them. Seeing as making resolutions in the New Year only last some people until the end of January or middle of February, I'm hoping making small goals will keep me focus so that I can achieve them. With all this snow we've been getting over these last two months and with being on and off again sick, towards the end of December was a really hard time for me. It's easier to get into the slumps and be one of those people with the Winter Blues, but I told myself that 2014 will be better. That no matter what I need to wake up in the morning with a smile on my face. Be thankful for my health, my husband, children and the life that I have. Not only has waking up in a happy mood been great for me so far, but it has also helped with how I look and handle my day. Thinking positive will lead to positive things in life. One thing I want to happen for my entire family is to eat healthier. The last couple of months of the year, we were use to eating and munching on holiday food and snacks, so once the New Year hit I made it a point to buy more veggies at the grocery store. Since my family already loves fruit and we our servings of fruit more often than we do veggies, I've been buying and cooking more vegetables for our family to try. With picky eaters it can be hard, but I've been trying to incorporate the veggies with their lunches, after school snacks and serving them with a veggie dip never hurts either. Eating veggies and fruit hasn't been hard for me, it seems as though this little one growing in me seems to be craving them. I'm hoping these cravings stay throughout the entire pregnancy! With the two ones that we have now and preparing for the third, my hubby and I have been talking about being more active with the kids. We are already use to having family time with the kiddos indoors, but we do want to start taking family walks and when the weather warms up a bit, playing outdoor sports and activities with the kids. We've just signed our son up for soccer this Spring and my daughter up for dance. I am really excited that my little people will be involved in an activity that doesn't involve electronics. I think of our family as being really close. We already have weekly movie and board game nights, but I would love to spend a bit more time with my family. It's hard some times because the hubby travels for work at least once a month, but when he is here I'd like to do a bit more with our family. Like trying family reading nights where we all read the same story out loud or even do more of the family cook nights where we get the kids more involved with what they're eating. These are just a few of the goals I would like to get accomplished this year. 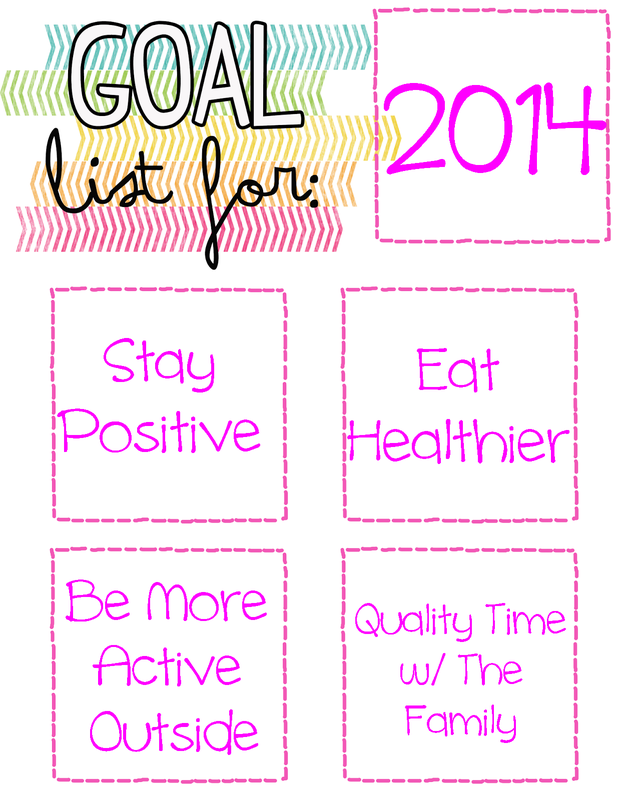 What are some goals or resolutions you've made for yourself this year?